***Credit or discredit the banished Don Imus with greasing the skids. 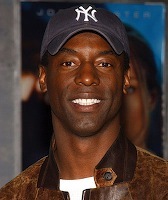 Then say goodbye to Isaiah Washington, whose set blowup and widely publicized, disparaging comments about gays have cost him his job as Dr. Preston Burke on the hit ABC series Grey's Anatomy. In the season finale, Dr. Burke walked away from his wedding to Cristina Yang (Sandra Oh) after she initially stood him up at the altar. Then he moved out of her apartment. Now the exit's complete. ***Showtime cable has landed two estimable actors to co-star in the second seasons of critically acclaimed series. Peter O'Toole will play Pope Paul III in The Tudors. He's the pivotal figure in excommunicating Henry VIII (Johnathan Rhys Meyers) from the Catholic Church. And David Carradine, terrific as Wild Bill Hickock in HBO's Deadwood, has been cast as FBI agent Frank Lundy in Dexter. Returning on Sept. 30th, Dexter stars Michael C. Hall as serial killing forensics expert Dexter Morgan. 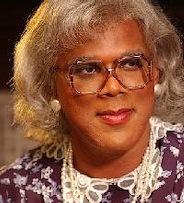 ***A rash of bad reviews for Tyler Perry's House of Payne didn't keep it from achieving ratings highs for for TBS. Last Wednesday's two premiere episodes each drew more than five million viewers, with the second setting an ad-supported cable record for a sitcom with 5.82 million. TBS has ordered 100 episodes of the show, which depicts a multi-generational black family headed by a verbally abusive fire chief. ***Fox has a start date for Anchorwoman, the previously announced new reality series in which model and former wrestling villain Lauren Jones will join the staff of KYTX-TV in Tyler, TX. It all begins unfolding on Tuesday, Aug. 21 with a special one-hour episode. Jones' first day with the CBS station is Monday, June 11th. "The entire newsroom thinks the boss has made a giant mistake," says Fox. ***ABC News reports that the newly re-jailed Paris Hilton found time to talk to Barbara Walters Sunday afternoon. Babs had been conversing with Paris' mom, Kathy Hilton, when the kid called mom on the other line. "When she heard I was talking to her mother, she said she'd like to talk to me herself," Walters relates in a first-person article. Paris proclaimed herself a "different person" who "used to act dumb. That act is no longer cute." During her first truncated stint as an inmate, "I was not eating or sleeping," she says. "I was severely depressed and felt as if I was in a cage." Insert late night monologue joke here.